Trouble was my most anticipated novel of 2014 and so I was very excited when I was gifted a copy from the lovely Debbie at Snuggling on the Sofa. It feels as if I’ve been waiting for this book my entire YA-reading life. I cannot praise it highly enough. Hannah is 15 and pregnant. Teenage years are hard anyway, so add a bump into the equation, and you have Trouble. The thing is, though, Hannah’s baby is fatherless. So when new boy, Aaron, steps forward for the role and offers to become a stand-in father, it’s unclear if he has ulterior motives or is just trying to be a good person. Told in alternating perspectives, we get to know both of our protagonists, Hannah and Aaron, very well throughout and the thing that struck me the most about their similarities is that they’re both going through tough times. This leads for a very exciting read; with so many twists and turns it’ll give you whiplash. I’m usually a very good girl and get my beauty sleep, but Trouble kept me up reading until late (shhh…Don’t tell my mum!) because I couldn’t bear to put it down; I was hooked! Hannah’s pregnancy was dealt with in a very good manner and it was easy to sympathise with her. Pratt has realistically portrayed her as a spirited British teenager, and conveyed her feelings to pregnancy and life so well. It was so good to get to know Hannah within the pages. Aaron was such a complex character and so interesting. Because of the depth to his character, I enjoyed reading the chapters written from his perspective and it offered a nice contrast between Hannah’s character and his because they were quite different in many ways. He was so kind and caring towards Hannah and truly devoted. I can’ t finish my review without talking about the authenticity of both Hannah and Aaron’s teenage voices. It makes me smile to think about it because it makes me want to shout from the rooftops about UKYA fiction. You all know how much I love it, anyway, and I think Trouble is right up there with all of the award-winning UKYA. It’s captured teen life so, so well, and I think this is a major selling point for those teens who don’t read as much as others: it’s so relatable they’ll fall straight into the story. I don’t think I’ve read a book quite like Trouble before, so I’ll definitely be seeking more out now. It came at a time when I was in a bit of a reading rut and couldn’t get out of it. I can’t wait for you all to read it and love it just as much as I did. This sounds like an interesting plot but I don’t know why it sounds sort if cliche. I’m not a huge fan of switching perspectives so I think I’d get really annoyed in the end. Great review though, sounds like you enjoyed it! I really want to read this book! It sounds brilliant. Fantastic review. 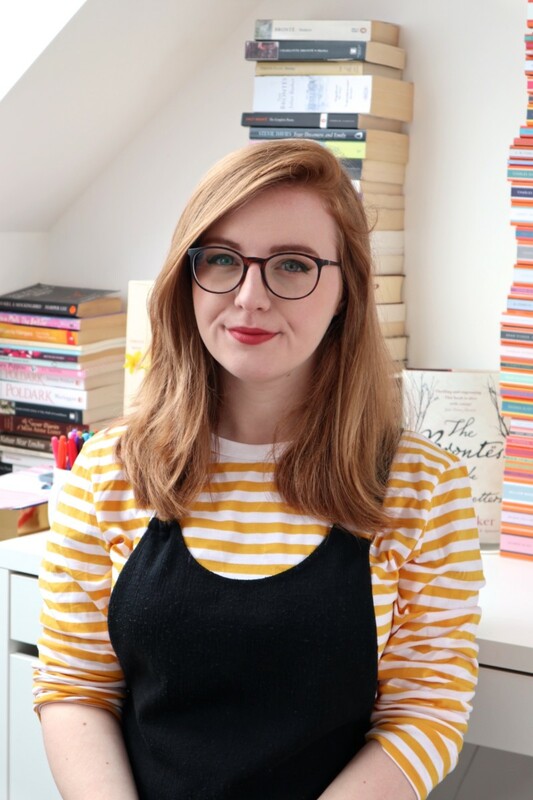 When I first heard of this book months ago and heard it was about teen pregnancy I wasn’t interested at all but now it is one of my most wanted books, great review Lucy which just makes me want to read it even more. This is my most anticipated book this year – I cannot wait to start … I think it will either be my next book – or the one after (but very, very soon). This book looks SO good! Only the other day Maya was rambling to me about how good it is and now I see this 5 star review… right, okay, I need this book. Lovely review Lucy & I’m glad to see you’d never read a book like this one before! Can’t believe I haven’t heard of this! It looks awesome so thanks for the heads up 😉 Nice to see another UKYA that blew you away! *adds to wish list and gr tbr* Trouble sounds so good, why haven’t I heard of this before?! I love the cover. Really curious to see how the story unfolds. I want this book in my hands right now. Great review, Lucy! I was talking with this book’s publicist at ALAMW and she was so excited about it! She ended up sending me a copy last week and I can’t wait to get started. Even though there are a lot of them, I actually never tire of teen pregnancy as a topic. Hmm, what does that say about me? lol. This looks really good! I will definitely have to read it! 🙂 Great review! Kyra recently posted…Discussion: Do You Review Every Book You Read?